1 Million for Work Flexibility has more than 60 organizations on board to date as part of our coalition—and counting. We’re pleased to share more information about supporter Catalyst in today’s “Spotlight On…” post. While there has been much advancement in the workplace on the issue of gender equality, so much more remains to be done, and there always needs to be a catalyst to keep things moving forward. Such is the goal of the aptly named Catalyst, a 1 Million for Work Flexibility supporter. Founded in 1962 by Felice N. Schwartz, Catalyst is the leading global nonprofit organization dedicated to promoting advancement for women in business. Its goal: to create more inclusive work environments where all employees can have equal opportunities. With operations in the United States, Canada, Europe, India, Australia, and Japan, and more than 700 member organizations, Catalyst is the trusted resource for research, information, and advice about women at work. Catalyst is a treasure trove of information and research that people can utilize to make their companies—and themselves—stronger. The organization addresses issues such as gender pay gap; the importance of having a sponsor (and how it differs from a mentor); the role of male champions in fostering female talent; and how access to “hot jobs”—high profile, mission critical roles, and international assignments—are key for advancing to leadership positions. 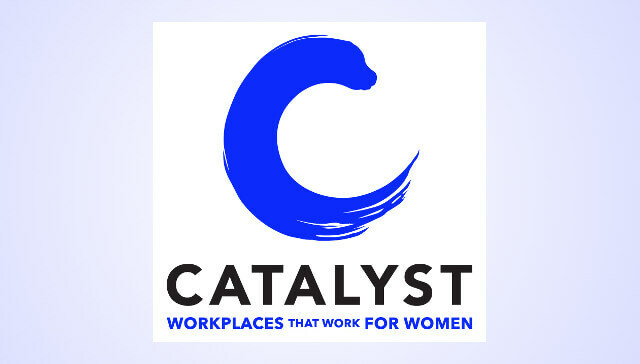 Catalyst offers the latest data on women in the workforce globally, with resources like the U.S. Women in Business pyramid, Women CEOs of the Fortune 1000, High Potential Women in Europe, Women in the Labour Force in India, and The Case for Gender Diversity in Japan. In addition, there are interactive quizzes for managers, such as Are You An Inclusive Leader? Catalyst also offers research, tools, articles, and advice on workplace flexibility for both employers and employees. Its recent report, The Great Debate: Flexibility vs. Face Time, busts the myths behind flexible work arrangements. As a membership organization, Catalyst offers its members exclusive tool kits on Managing Flex—how-to guides for organizations, managers and individuals. In addition,Catalyzing blogs and vlogs offer personal stories of flexibility. Some are first-person narratives of how flex has improved an individual’s life for the better—others are perspectives from managers on why they believe flex works. Besides being a resource for companies who want to offer flexible work arrangements, Catalyst is a role model, showing how it can be done successfully. Many members of the global staff work virtually, with laptop enabled private networks, allowing for work to be done seamlessly from anywhere in the world. Every Friday, the entire staff is allowed to work from home, and the office shuts down for holiday break between Christmas and New Year’s to allow employees family time. “At Catalyst, we believe that flexibility must be more than a benefit for some—in fact, we think it’s a crucial work strategy for all employees,” says Amelia Costigan, Senior Associate in Catalyst’s Information Center and a member of the organization’s Work Life Issue Specialty Team. 1 Million for Work Flexibility is proud to have Catalyst’s support as we work to expand access to work flexibility for employees across the country. For a full list of our supporter organizations, visit our Who We Are page.